Folk band “Kaktu balles muzikanti” which could be translated as “Corners’ hop musicians” or “musicians for unofficial village dance parties” consists of four musicians. 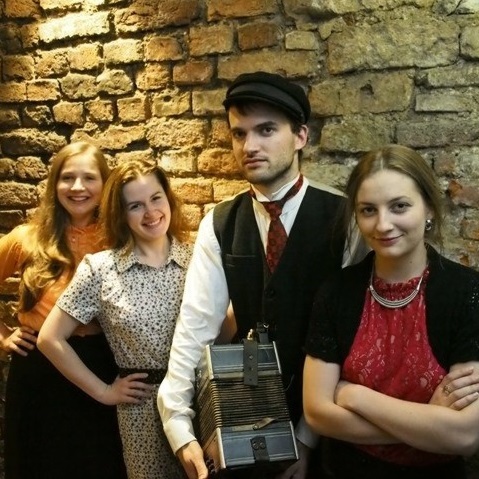 Their title as their musical style is based on repertoire which was played in unofficial village dance parties – known as “kaktu balles” (“Corners’ hops”) that were held in Latvian villages through the 19th and first half of 20th century. They play traditional tunes and songs with great bit of raw joy and historical knowledge, but they also love to sing and dance traditional dances as well.